After all, chickens come from the tropical forests of Southeast Asia where they’ve been running around the forest for millennia. Chickens are not meant to be sedentary. All the breeding that has been done to chickens for human convenience has not changed the essential nature of chickens. Chickens love to run about, dig in the ground, sunbathe, socialize and perch. Unless they are disabled, dispirited or industrially confined, this is what chickens do. Yes, it is heartening that more people are discovering the pleasure of chickens, as described in The Sun's March 1 article, "Chick business thrives in Gainesville." It’s great that people who want to keep chickens are eager to create yards for them to enjoy. After all, chickens come from the tropical forests of Southeast Asia where they’ve been running around the forest for millennia. Chickens are not meant to be sedentary. Through the years, I’ve adopted hundreds of chickens and helped people find homes for chickens from factory farms, school-hatching projects, cockfighting raids, animal shelters and, increasingly over the past decade, backyard chicken-keeping. Hatcheries that produce chicks for backyard flocks or any other purpose treat chickens and their offspring the same way puppy mills treat breeding dogs and their puppies. The only difference is that, in the case of chickens, the parent birds are in a factory-farm building and their eggs, taken from them, are in a mechanical incubator elsewhere. Since there are no laws regulating how breeding hens and roosters are housed, they typically are crammed together without outdoor access until they are slaughtered, just like a factory farm. 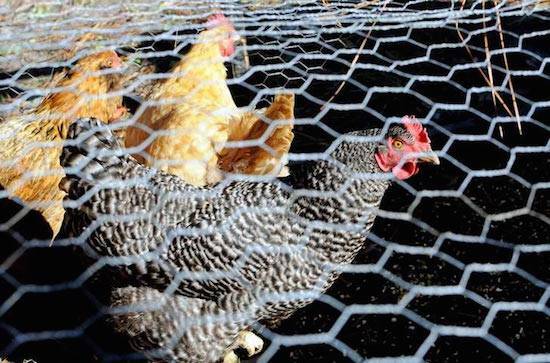 Chickens are not “dumb” animals — they are neither silent nor stupid. And hens are not “egg-laying machines.” Anyone who wants hens only for eggs should not keep chickens. Best if you really want chickens is to adopt rather than buy. And always remember to meet your chickens at their own eye-level. If all they ever see of you are your boots or shoes, they will not bond with you and you will never get to know them. My experience with chickens for more than 30 years has taught me that chickens are conscious and emotional beings with a range of interests and personalities. Chickens are cheerful birds, quite vocally so, and when they are dispirited and oppressed, their entire being expresses this state of affairs.